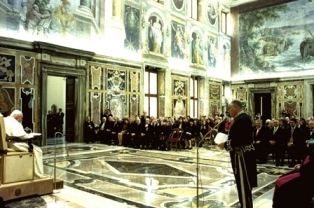 January 2005, PTWF organized the largest Jewish audience in history to meet privately with Pope John Paul II, to thank him for his great strides in religious reconciliation. 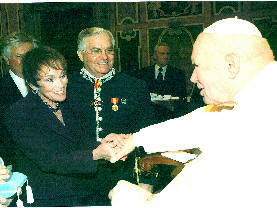 NEW YORK, January 5, 2005 - Pave the Way Foundation announced today that it has been granted a special private audience with His Holiness Pope John Paul II in Vatican City on Tuesday, January 18, 2005. A group of some 160 Jewish leaders, rabbis and cantors from throughout the United States, Europe and Israel - which is the largest group gathering of Jewish leaders to ever meet with a sitting pope -- will attend the audience and thank the Holy Father for all the work he has done to reconcile the two faiths. They will recognize the Pope's efforts during his 26-year pontificate in bringing down the walls of hate, as well as his contribution towards religious reconciliation with the Jewish people and the State of Israel. The Rabbis intend to recite a special prayer in his honor at the ceremony. Gary Krupp, President and founder of the Pave the Way Foundation, stated, "Our mission at Pave the Way is to bring together men of good will, no matter what their religious background and to ruthlessly tear down any wall that stops this from happening." 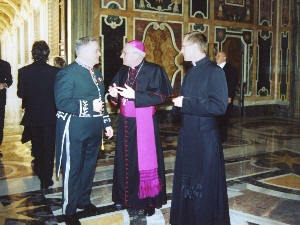 "Pope John Paul II has been doing just that for decades. It is only fitting that we humbly thank him for all he has done for the Jewish people of Earth and, in turn, making inroads toward true peace on Earth," added Mr. Krupp, who is the seventh Jewish man in history to be knighted by the pope to the order of St. Gregory the Great. 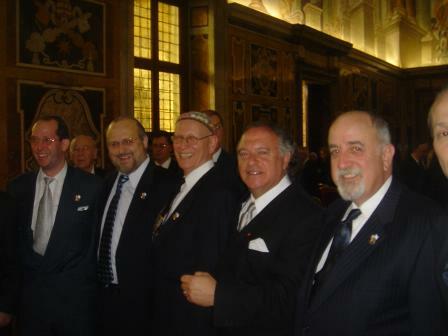 The group attending the audience will include Oded Ben-Hur, Israeli Ambassador to the Holy See; Amire Ofek, Israeli Consul for Media in New York; Rabbi Adam Mintz, president of the New York Board of Rabbis; Rabbi Shmuel Rene Sirat, Former Chief Rabbi of Europe and France; Rabbi David Lincoln, Chief Rabbi of the Park Avenue Synagogue, New York; Rabbi Shlomo Riskin, Chief Rabbi of Efrat, Israel, Rabbi Joseph Arbib of the Great Synagogue in Rome and Gadi Golan, former Director of Religious Affairs for the Israeli Foreign Ministry. The group also will include over 12 Cantors, who on Monday, January 17, at 8 p.m. will present a concert at the Great Synagogue in Rome for the delegation and representatives of the Vatican and the Roman Jewish Community. 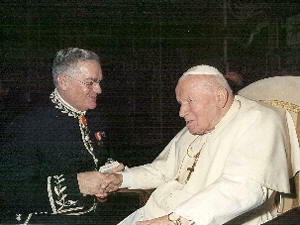 Mr.. Krupp pointed out that Pope John Paul II has a very long history of supporting the rights of the Jewish people and of speaking out against anti-Semitism and, factually, of discrimination of any group. In 1978 he characterized anti-Semitism as "opposed to the very spirit of Christianity." In 1987, he called on all Christians to develop, together with the Jewish community, "common educational programs which...will teach future generations about the Holocaust so that never again will such a horror be possible. Never again!" 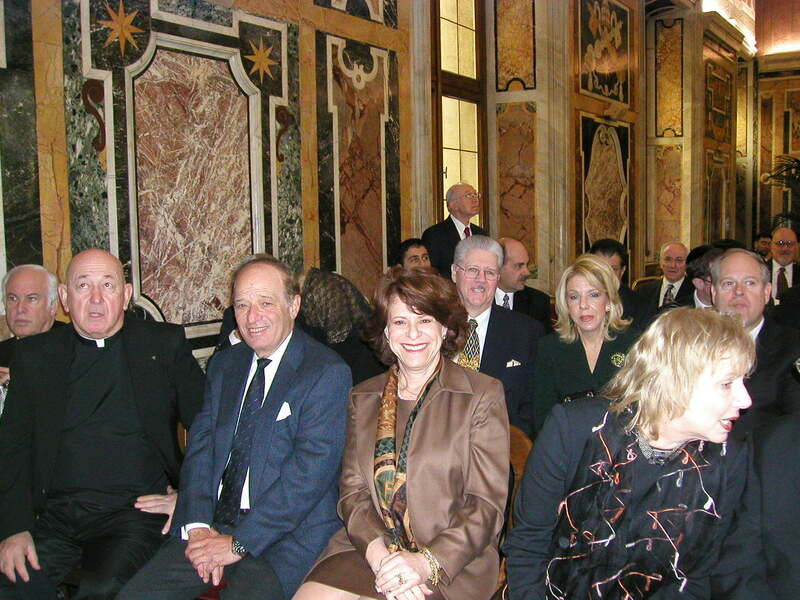 "Pave the Way Foundation has been instrumental in helping to close the gap between the Vatican and the State of Israel in their talks to finalize full diplomatic relations", says Elliot Hershberg Chairman of Pave the Way. 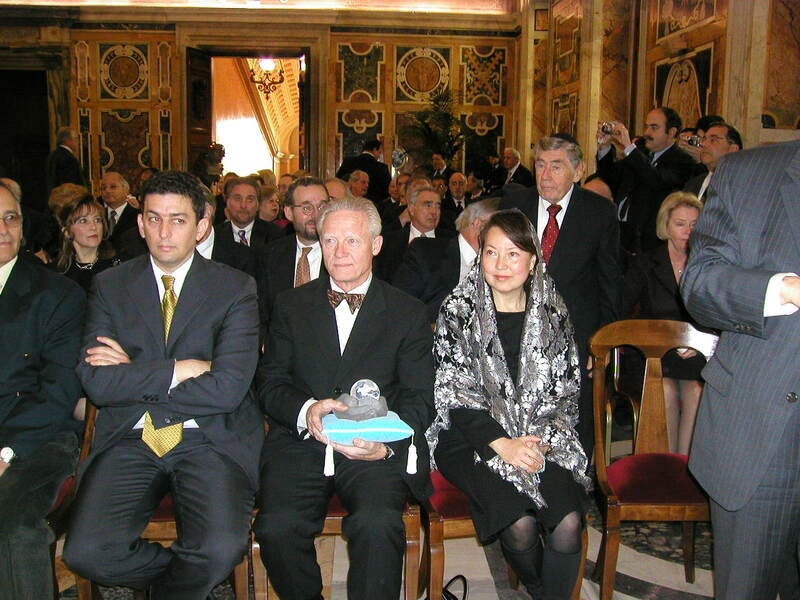 As further evidence of the effectiveness of their efforts, Mr. Krupp announced that the Vatican has given permission for the loan of the Maimonides Manuscripts along great Jewish writings to the Israel Museum for its 40th anniversary exhibit in spring 2005. 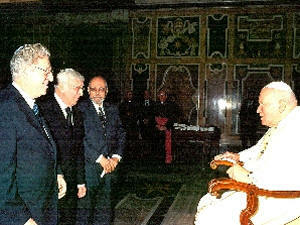 Mr. Krupp, who initiated the loan request of the manuscripts from the Vatican Library, commented that. "This is the first time these historic manuscripts will be on Israeli soil."